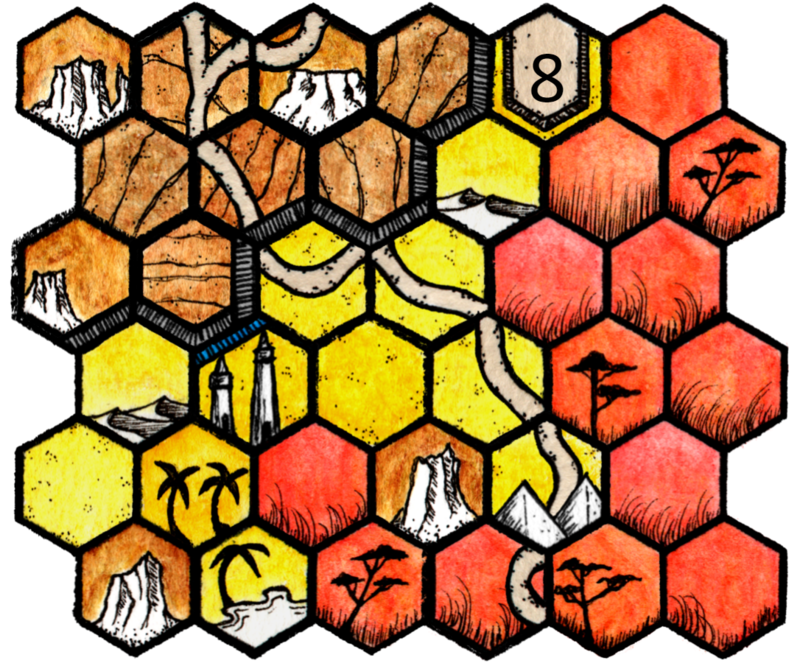 This is a small set of utility tiles to compliment the Hex Kit: Fantasyland tile set for the Hex Kit map making application. 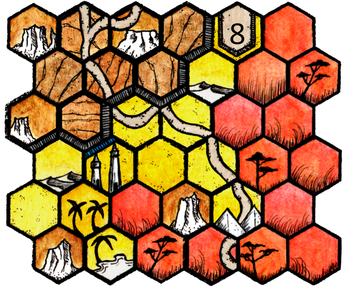 It contains utility hexes such as roads, markers, borders, and solid-color tiles. 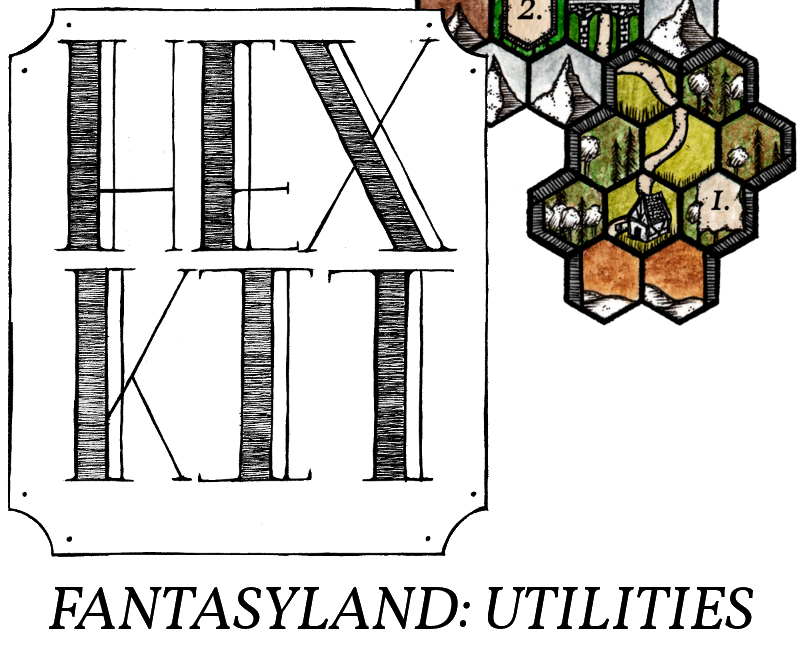 Installation: Download the zip file and drag the HK-Fantasyland Utilities folder to your Hex Kit folder. Open the Hex Kit application, go to File, Import Tiles. Select the HK-Fantasyland Utilities folder, and click the 'Select Folder' button. The import settings box will appear, you can ignore all the buttons and just click 'Save' and be good to go! Note 1: When you import the tiles, you'll notice the edges hang off outside the yellow border on the import settings window; this is intentional. If you try to resize the tiles to be inside the yellow line it will mess up the way the black borders overlap. Note 2: While Hex Kit does support tiles in both flat up and pointy up orientations, this tile set only comes with pointy up tiles! These art assets can not be used for commercial purposes or any other incoming or money generating activity. The art assets can not be distributed individually, as single tiles, or as an art asset in any capacity other than a completed map or work. Some screenshots show tiles available in other tile sets being used with the tiles that come in this set.